Play On: Northern Illinois Huskies +8.5. 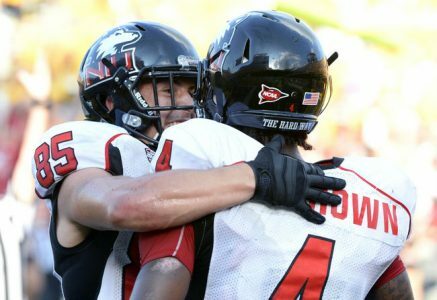 I feel the NIU Huskies are a very confident underdog as they head into their game against the Thundering Herd, and I think NIU will make a game of it today and stay inside this big point spread. Northern Illinois won their final 7 games to get to this bowl game, including a beat down of Bowling Green in the MAC Championship where the Huskies hung 51 points on the scoreboard. NIU can score, and they will be able to exploit a pretty suspect Marshall secondary today. The Huskies have been an underdog twice this season, and both times produced outright wins over Northwestern and Western Michigan. True, past MAC performers in bowl games have struggled, but Bowling Green was a winner over the weekend, and Western Michigan was a turnover away from possibly upending Air Force. Marshall failed to cover their final 3 games and 4 of their last 6 games in the favorite role, and while Rakeem Cato and his offense will get their scores today, the Herd’s defense is just yielding enough to not shut the back-door on the Huskies. Take NIU as the live dog.